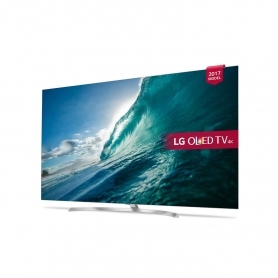 Available in a silver finish to suit any modern home, this UHD TV is a part of LG’s OLED line. This model features Active HDR, which gives it support for HDR10, Dolby Vision, HLG and Advanced HDR formats. 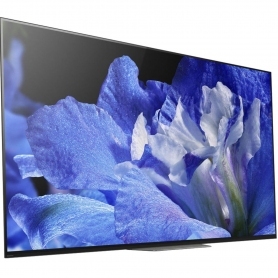 The OLED55B7V has a sleek, ultra-slim design and holds an ‘A’ grade for energy efficiency. 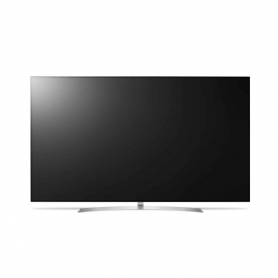 Looking for a larger TV? 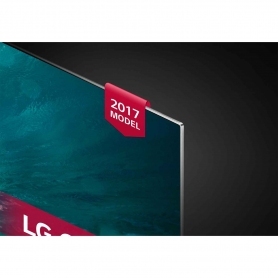 This model is also available with a 65” screen. Perfect Black – OLED TVs provide deeper, darker blacks with an infinite contrast range. See improved detail and shadow effects with Perfect Black. 10-Bit Colour – Most TV sets offer 8-bit colour, which can generate 16.8 million shades and hues. 10-bit colour expands this range to over one billion. Enjoy a smoother, more natural spectrum of colours. Ultra Luminance – This feature directs excess current from dark areas of the screen to brighter ones. Boost contrast for a sharper, more intense picture. Smart Picture Mode – When active, this mode scans the genre of programme you’re watching, then adjusts picture settings to suit your content. HDR Effect – Improves non-HDR content to bring it up to near-HDR quality. See your favourite shows and films with a new level of detail. With support for Dolby Vision and Dolby Atmos, the OLED55B7V offers a uniquely cinematic experience. For more immersive sound, Dolby Atmos generates a 3D soundscape around the viewer. Single sounds can be placed more precisely around you, making you feel like a part of each scene. This model features 2.2 channel speakers and a 40 W sound output. 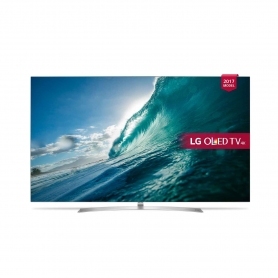 Online access gives you even more ways to enjoy this OLED TV. Choose from over 200 TV and radio channels with Freeview HD and Freesat HD packages, as well as catch-up services such as iPlayer, All 4 and ITV Hub. WebOS helps you quickly scroll through your channels and features, and lets you use streaming apps such as YouTube and Netflix. LG’s own ‘Channel Plus’ app gives you over 70 more Internet channels to choose from, such as TIME, People and Sports Illustrated. Four HDMI ports mean you can connect a range of home devices to the OLED55B7V. Experience your favourite Blu-Rays and video games with LG’s immersive picture and sound features. This OLED TV comes with a premium crescent stand, for added support. Experience a huge variety of content on the OLED55B7V, with Dolby Atmos surround sound to make you feel like a part of the action. Order yours today.